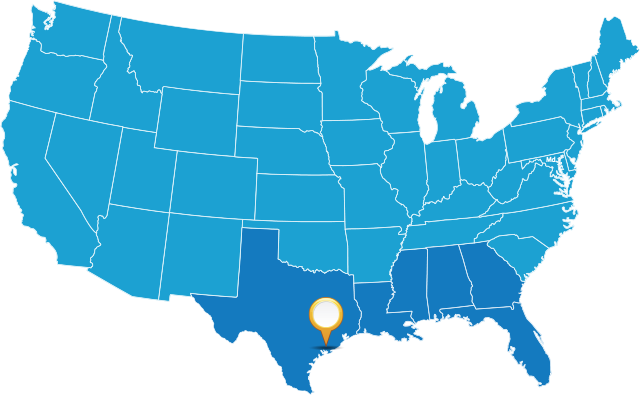 Our main terminal and headquarters are located in Houston, Texas with another terminal in Beaumont, Texas. Being in the heart of the energy industry affords us great experience and allows us to operate efficiently across the entire United States with high safety standards and unique solutions. We serve transportation needs for the lower 48 states with a concentration in the Gulf Coast and Southeast regions.